Seattle house prices drop 5.1% in five months, most since Housing Bust 1; San Francisco Bay Area, Los Angeles, San Diego, Denver, Portland all decline. This is the most obvious one: Seattle. House prices in the Seattle metro dropped 0.7% in November from prior month, according to the Case-Shiller Home Price Index released this morning. 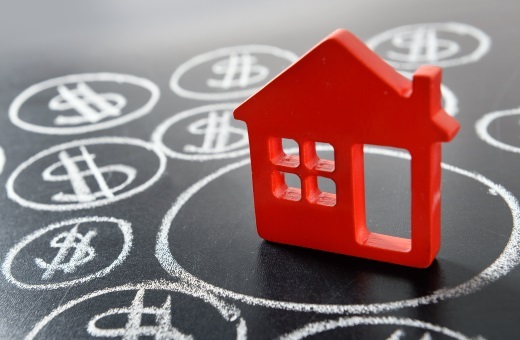 It brought the index down 5.1% from the peak in June 2018, the biggest five-month drop since the five-month period that ended in January 2012 during the final throes of Housing Bust 1. So some of the markets in this select group of the most spending housing bubbles in America have turned south, according to the S&P CoreLogic Case-Shiller Home Price Index, confirming other more immediate data. This includes, in addition to the Seattle metro, the five-county San Francisco Bay Area, the San Diego and Los Angeles metros, the Denver metro, and the Portland metro. In these markets, house prices have dropped the fastest since Housing Bust 1. In other markets, house prices have been flat for months, such as Dallas. And in a few markets on this list of the most splendid housing bubbles in America, the bubble remained intact and prices rose. On a national basis, individual markets get averaged out. Single-family house prices in the US, according to the Case-Shiller National Home Price Index, have now been flat on a month-to-month basis for four months in a row, and are up 5.2% compared to a year ago (not seasonally-adjusted). This year-over-year growth rate has been ticking down gradually from the 6%-plus range prevalent through July 2018. The Case-Shiller Home Price Index is a rolling three-month average; this morning’s release is for September, October, and November data. And thus the index lags several months behind more immediate data, such as median prices. Based on “sales pairs,” it compares the sales price of a house in the current month to the prior transaction of the same house years earlier. It also incorporates other factors and formulas. The index tracks single-family houses. In some large markets, Case-Shiller provides an additional index for condos. Unlike median-price indices, the Case-Shiller index does not indicate dollar-price levels. It was set at 100 for January 2000; a value of 200 means prices as tracked by the index have doubled since the year 2000. For example, the index value of the National Home Price Index for November is 205.85, indicating that house prices have risen 105.8% since the year 2000. Every index on this list of the most splendid housing bubbles in America, except Dallas and Atlanta, has more than doubled since 2000. The index is a measure of inflation — of house-price inflation, where the same house requires more dollars over the years to be purchased. In other words, it tracks how fast the dollar is losing purchasing power with regards to buying the same house over time. So here are the remaining metros in this list of the most splendid housing bubbles in America. The Case-Shiller index for “San Francisco” includes five counties: San Francisco, San Mateo (northern part of Silicon Valley), Alameda, Contra Costa (both part of the East Bay ), and Marin (part of the North Bay). In November, the index for single-family houses fell 0.7% from October and 1.4% from September, to the lowest level since April. Since the peak in July 2018, the index is down 1.6%, the biggest four-month drop since March 2012. Also in the five-county San Francisco Bay Area, the Case-Shiller index for condo prices fell an ear-ringing 2.4% in November from October to the lowest level since February 2018, and is down nearly 3.3% from the peak in June 2018, the steepest five-month decline since the five months ended in February 2012, as Housing Bust 1 was winding down. Wolf Richter is based in San Francisco. Entrepreneur with over twenty years of C-level operations experience, including turnarounds and startups. The rise in interest rates has likely taken the wind out of the sails of the housing market. It has not yet become a headwind, but things have gone slack.